Do investors really select mutual funds from reading news articles? They sure do. Read on to see a great example. Our client, George Young from Villere & Co., forwarded a letter he received from famed researcher Laszlo Birinyi. 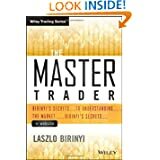 Birinyi let Young know that he wrote some kind things about Villere in his book, The Master Trader. "I was writing the chapter on funds when you were profiled in Barron's and suggested that this was the kind of fund investors should look into and not be swayed by marketing and sales." The book explains, "We have never heard of this fund, have no relationship and no interest whatsoever. But the fund fits the template of what we would be looking for if we were looking for a mutual fund for ourselves." That's a nice triple endorsement: A mention in a book by a well-known investor referencing a portfolio manager interview in Barrons. SunStar had arranged the interview as part of Villere's ongoing PR program. "The book is doing exceedingly well and the publisher is most happy," according to Birinyi. Glad to hear that. Hopefully, the book's readers will pay special attention to page 153. Want to see how SunStar can help your firm get your story told? Give us a call at 703-299-8390 and let’s talk about it.